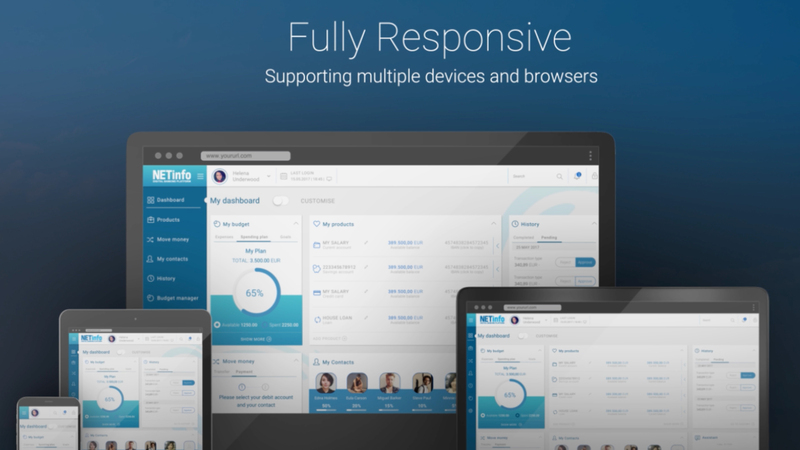 A real-time service and a consolidated view of a customer’s relationship with the bank. Functionality that enables customers to perform financial activities in a responsive, user-friendly and secure environment. 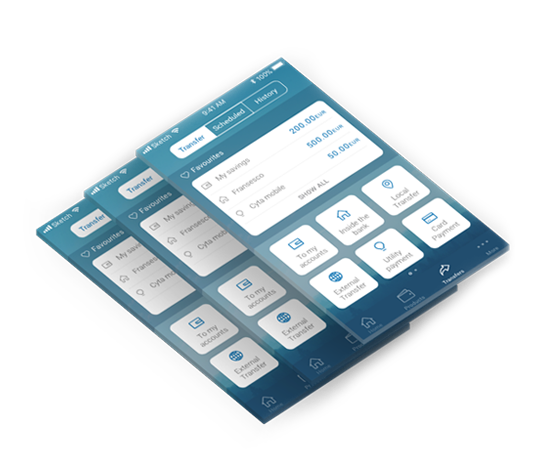 A versatile mobile app, covering Android and iPhone devices, which gives customers the convenience of an on-demand service on the move, with the benefit of the latest customer experience technology. The open APIs management module provided by the NETinfo Digital Banking Platform, in keeping with PSD2. A dedicated administration console allows the central management of accesses and exposed interfaces by the bank. Provided as a separate application or part of the omnichannel platform. It oﬀers additional seamless payment methods including wallet-to-wallet, account-to-wallet, as well as in-store payments via NETinfo’s two-way beacon technology. Inform customers on issues, mainly relating to security and their financial status and transactions, through personalised messages delivered through a multitude of channels including SMS, email and push notifications. Provides access and the required functionality to engaged agents, in a controlled and secure manner, to execute basic banking and financial services on behalf of the bank. Integrate with any social media platform to obtain contact details and enable payments through a secure environment. Deploy marketing campaigns in social media and enable selling through the NETinfo Digital Banking Platform. 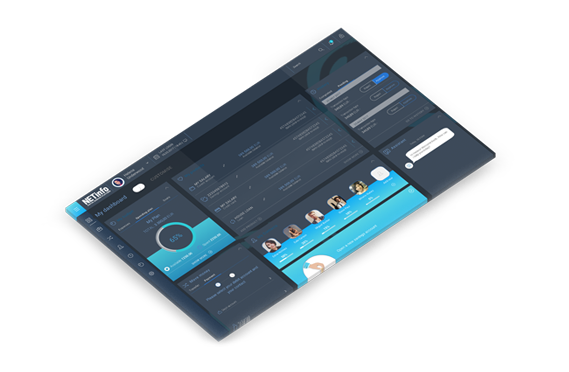 Enables the setup of content, workﬂows and rules for implementing an advanced dialogue system in the omnichannel environment, with the capability to answer customer inquiries and execute payment instructions. Integrates with any interactive voice response (IVR) system, so it can be used to manage functionality, content and user authentication. Oﬀer basic financial services to customers through smart watches and other wearables. Integrates with ATMs to enable cardless cash-out. Integrates with kiosks to provide a secure banking services developed within the NETinfo solution. and creates a single, seamless banking service for retail, corporate and high-net-worth individuals. At the same time, the platform greatly enhances customer experience through in-built analytics and personalisation tools. Our solution provides comprehensive out-of-the-box functionality to satisfy the digital banking needs of today’s consumer-led financial institutions across all digital touchpoints. The customers can view their consolidated financial status, full account reporting and can personalise their online banking reflecting how they wish to interact with their bank. NETinfo’s Personal Financial Management (PFM) and Business Financial Management (BFM) are useful tools for customers to review, manage and plan their finances. Users can analyse their spending habits in graphical form, providing an overview to help monitor and manage finances. They can perform full money management, in order to estimate their income and control their expenses, via goal and budgeting tools, and they can set goals and budgets with the help of NETinfo’s Digital Banking Platform. Customers can tailor their online banking in terms of dashboard, functionality, beneficiaries and generally all aspects of their digital service, reflecting how they wish to interact with their bank. NETinfo streamlines and digitises bank processes and functionality, delivering outstanding and seamless digital experiences, and removes any friction from the customer journey. NETinfo harnesses IOS and Android-specific technology, including swiping, drag and drop, and fingerprint and face recognition, together with optical character recognition (OCR) where needed in the mobile environment. This offers a smoother, faster and familiar customer experience. The APIs management module can be considered as an extra channel that enhances the existing NETinfo Digital Banking Platform. It provides a portal and sandbox environment for third-party vendors to develop and test their interfaces with the bank, and a central administration console. Through the open APIs the bank can access any bank data and services that reside in the NETinfo engine, linking to the outside world in a controlled, secure and PSD2-compliant way. The bank can parametrically control and monitor, through reporting, the access and traffic in these APIs. End-users can enable/disable, from their online banking service, access to third-party applications, select which accounts and functionality can be used by specific third-party applications and define transaction limits. NETinfo streamlines and digitises processes such onboarding and account opening, enabling the online acquisition of new customers and accounts via any channel, delivering outstanding and seamless digital experiences, and removing any friction from the customer journey. NETinfo automates the end-to-end process, eliminates paperwork and interfaces with third-party systems including credit identity check institutions or systems, to check credit scores online and collect other financial information on behalf of the applicant and the KYC process. OCR and OS-specific technologies in the mobile environment are offering a smoother, faster and familiar customer experience. NETinfo can provide corporate customers with sophisticated digital tools for everyday financial activities. A broad range of corporate functionality can be provided including trade finance, cash management, trading and mass payments facilities, supported by the in-built business logic of the NETinfo solution. This capability enables you to create access rights and levels, limits, tailored workflows, charges and fees calculation, complex validations and much more. A corporate administration portal can be provided as a distinct service for corporate customers, enabling self-administration to create an organisational environment. NETinfo incorporates a comprehensive and powerful central administration module. Through easy-to-navigate menus and screens, the administration module enables the bank to parametrically set-up the entire omnichannel environment and subsequently control and monitor its behaviour. It contains extensive ‘middle-layer business logic’ which enables the development of tailored workflows, charges and fees calculation, complex validations, among other things. Moreover, a state-of-the-art reporting tool enables MIS reporting that covers the study of customer behaviour over the channels. NETinfo provides banks with several self-service capabilities to add new functionality and services. 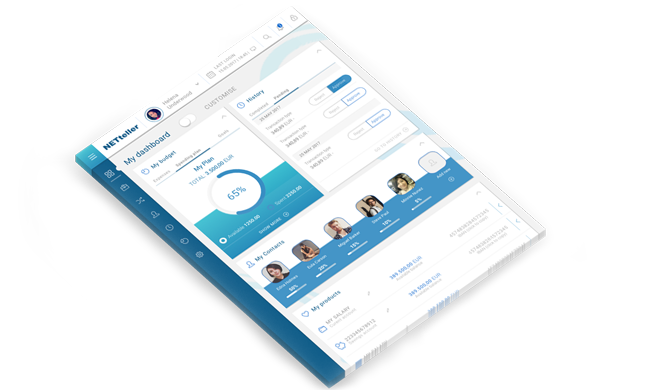 The dynamic pages feature enables banks to design and publish their own services to any channel or customer group without the need for vendor assistance or extensive IT resources. In addition, NETinfo can define payment templates for all types of transfers, or for third-party organisations, and set-up their parameters. NETinfo provides a ‘one installation, many banks’ model, giving financial institutions with global presence the ability to control all subsidiaries with a single omnichannel engine installed in one location, in the country of the holding company. Each subsidiary can have its own administration module, with which it can design and control the NETinfo solution independently, using different themes, profiles, segmentations and functionality depending on each area’s special characteristics, framework and regulations. NETinfo provides the bank with a powerful Authentication Suite that supports multiple authentication methods including biometrics (eg, fingerprint and face recognition), OTP/TAN complying with the PSD2 directive relating to strong customer authentication, delivered through SMS or generated by dedicated mobile app or calculator, security questions and user id/ password/ pins. Through the dedicated administration console, a bank can define parametrically the appropriate authentication method at activity and user levels. In addition, the risk-based authentication mechanism monitors the authenticity of user activity in real-time, evaluates the risk against unauthorised access and prompts the user for the appropriate authentication method as required; the behaviour for this can be set up parametrically from the administration console. Mobile is one of the most important channels supported by the NETinfo Digital Banking Platform. Mobile banking covers the needs of retail, corporate and high net worth individuals, and provides the swift and accessible service that customers increasingly seek today.